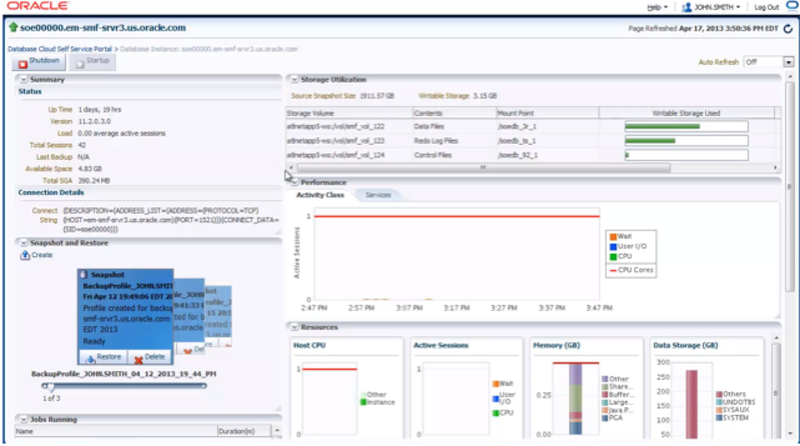 Oracle OEM 12c introduces a new feature that enables the creation of Oracle database thin clones by leveraging file system snapshot technologies from either ZFS or Netapp. 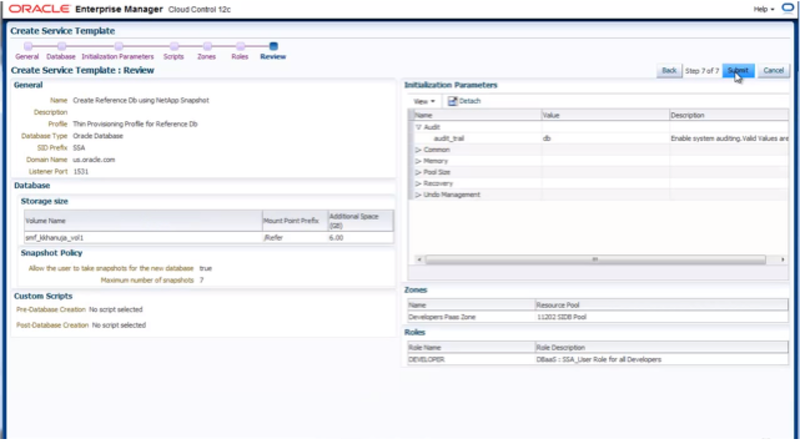 The OEM adds a graphic interface to the process of making database thin clones. The feature that enables database thin cloning in OEM is called Snap Clone and is part of OEM’s Cloud Control Self Service for data cloning. 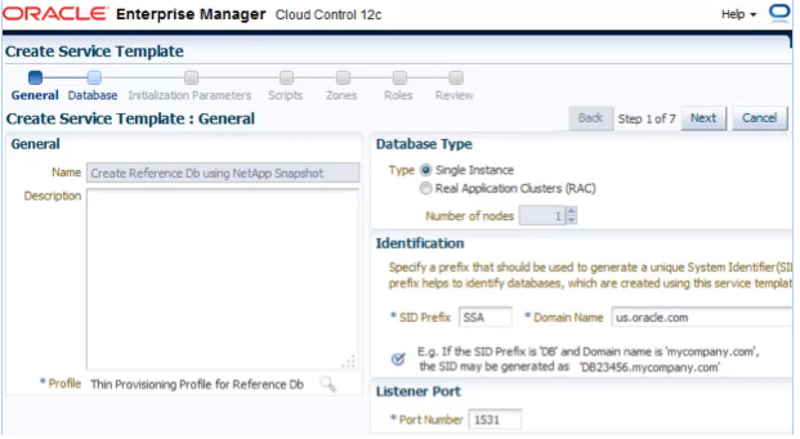 Snap Clone is available via the feature Database as a Service (DBaaS). Snap clone leverages the copy on write technologies available in some storage systems for database cloning. 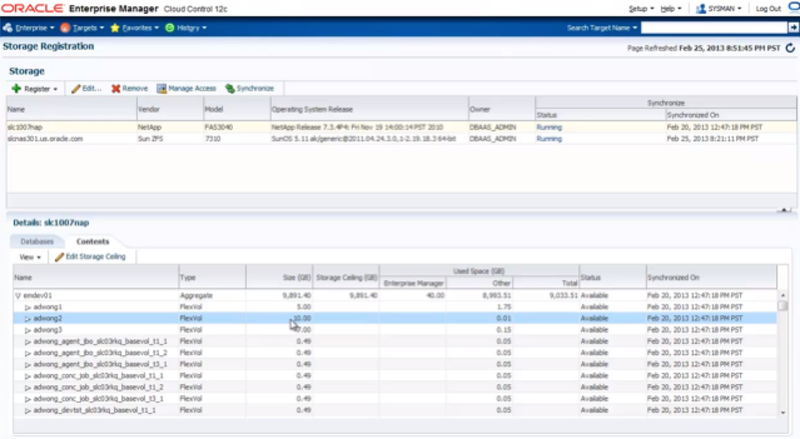 Support is initially available for NAS storage and specifically on ZFS Storage and NetApp Storage. In order to use Snap Clone, one has to install the source database such that the source database data files are on a ZFS storage or Netapp array and have the storage managed by agents on a LINUX machine and then one can thin clone data files on that same storage array. 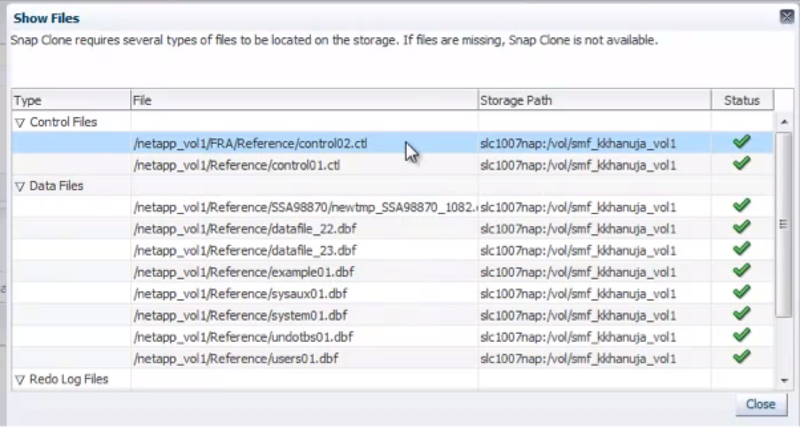 Snap Clone offers role based access, so storage admin can login in and only have access to areas they are responsible for as well as limiting access to source databases, clones and resource by end users. The prerequisites for getting start with Snap Clone are having available storage on ZFS Storage Appliance or Netapp storage array as well as having access to a master test database. A master test databse is a database that has a sanatized version of a production database such that it is either a subset and or masked. The test master database has to be registered with OEM. After the test master is registered with OEM, Snap Clone can be setup. 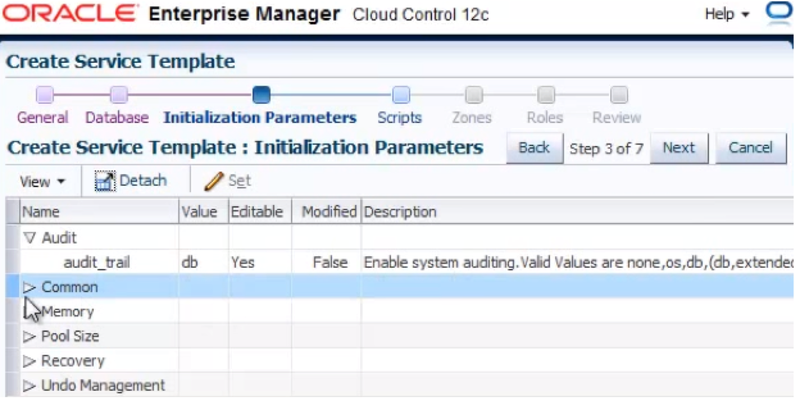 To set up snap clone, come into Oracle Cloud Control 12c as “cloud administrator” role with “storage adminstator” priviledge or super administrator and register the storage. 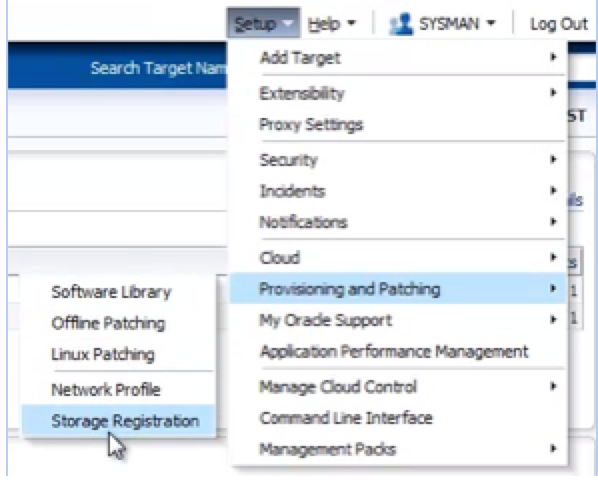 To register the storage navigate to “ setup -> provisining patching -> storage registration”. Figure 1. 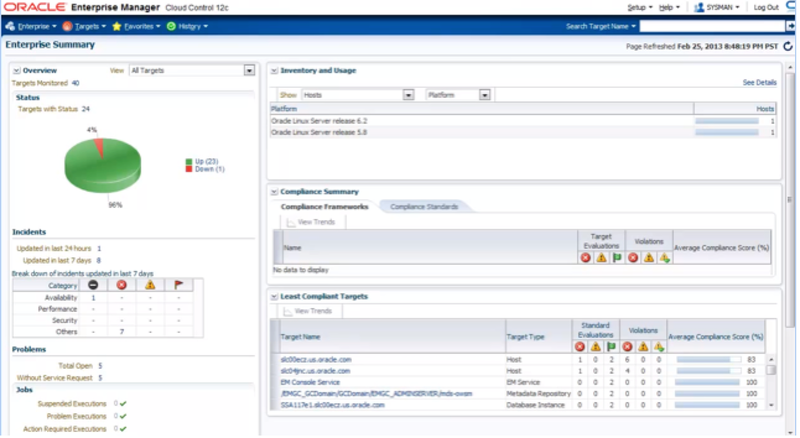 Shows the entry page in OEM 12c Cloud Control. From here go to the top right and choose setup, then provisining patching then storage registration as shown above. To setup Snap Clone navigate to storage registyratiom choose the menus “setup -> provisining patching -> storage registration”. 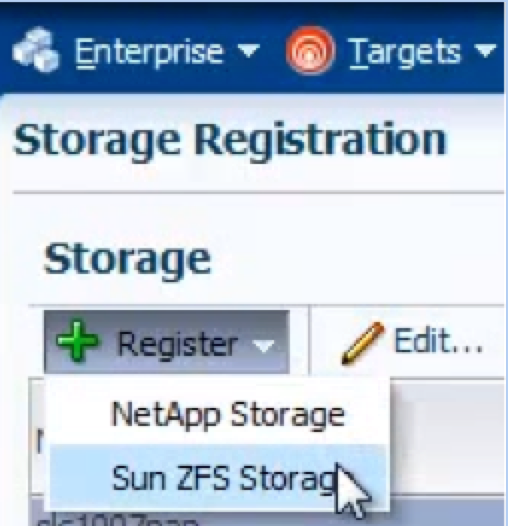 Once on the Storage Registration page, choose “Register” and then choose the storage, either Netapp or Sun ZFS. 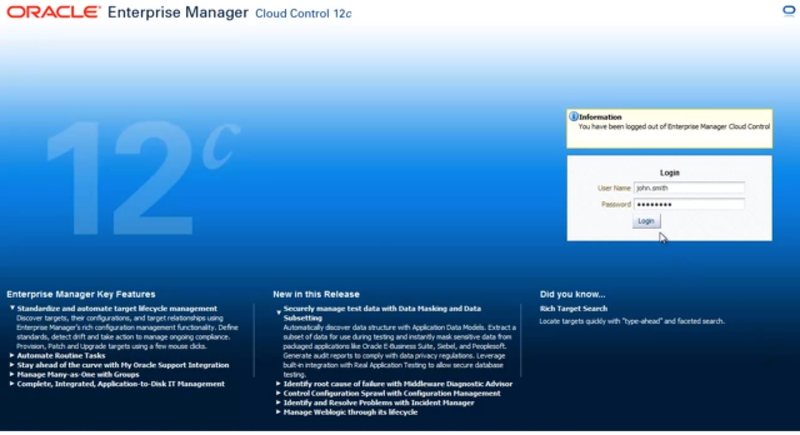 All of which is documented in cloud administration guide. And finally define the frequency with which the agent synchronizes with the storage to gather the sorage hardware details such as information on aggregates shares volumes. After the storage information, agent information and agent synchronization information has been filled out, then hit “submit” button in the top right. Hitting the submit button will return the UI back to the “Storage Registration”. On the “Storage Registration”, click on the storage appliance listed in the top, then click on the contents tab on the bottom half of the page. This will list all the volumns and aggregates in the storage appliance. Figure 6. Editing storage ceiling by clicking on a aggregate and hitting the “Edit Storage Config” tab. For each aggregate one can set storage ceilings. Click on the aggregate or FlexVol and the click “Edit Storage Ceilings” tab. On the database tab is a list of databases that can be used for cloning. 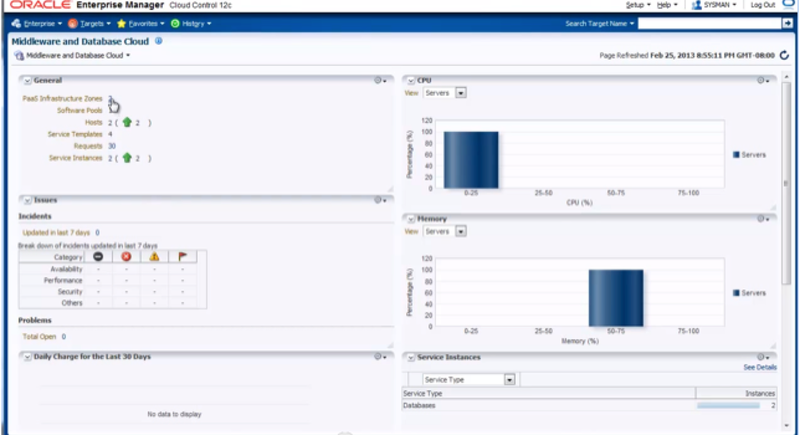 OEM detects the database automatically on the hosts it is managing. 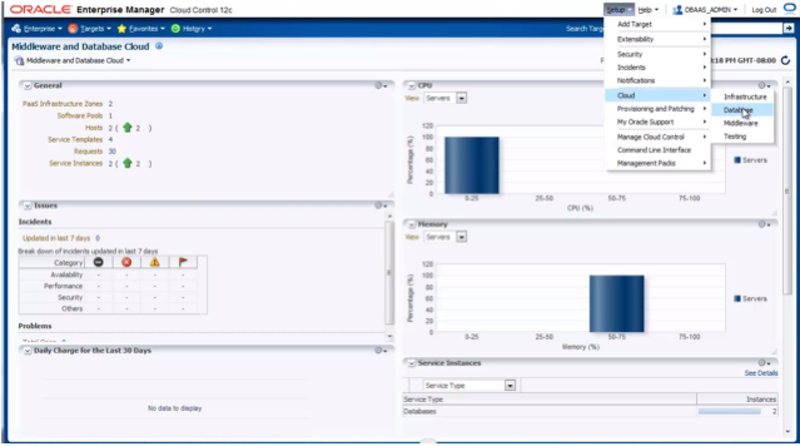 OEM will also automatically correlate databases that have storage on the storage array added storage registration. OEM looks for all databases that have files on the registered storage. Click on database, then the show files tabs which will show the files and volumes for this database. Figure 8. 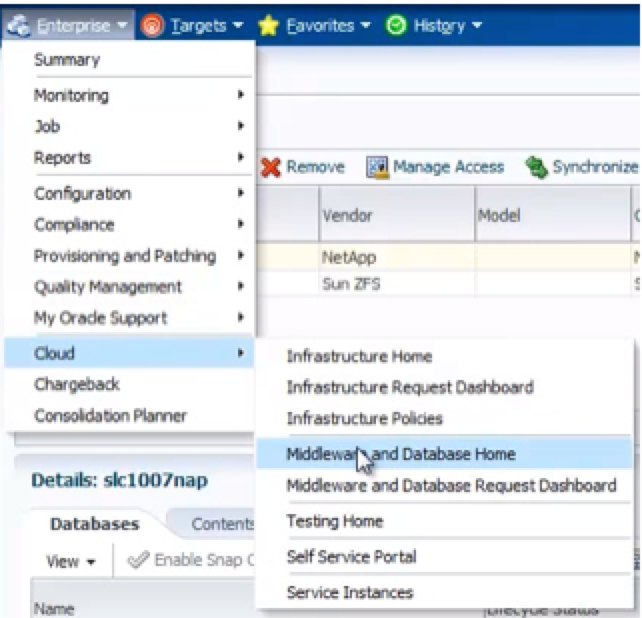 Enable Snap Clone for databases that will be used as test masters. Nominating a database as test master requires enabling snap clone. 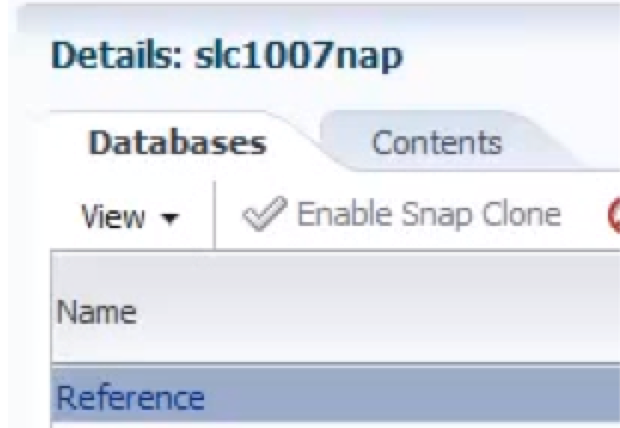 To enable snap clone for a database, click on the chosen database, then click “Enable Snap Clone” tab just above the list of databases. 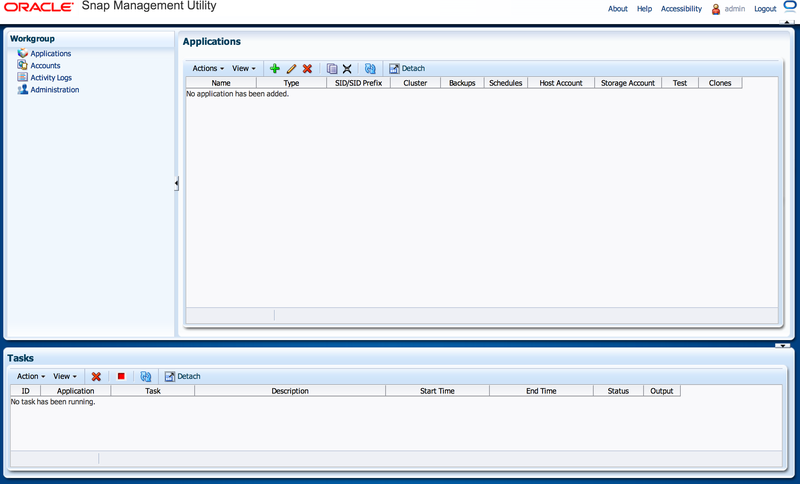 This will automatically validate that all the volumes are flex clone enabled (in the case of Netapp). 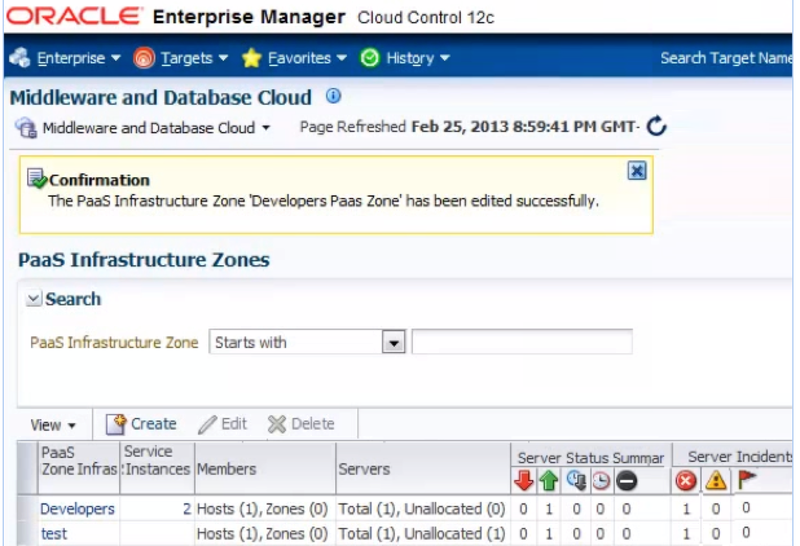 In order to see the zones defined, click on the number next to the title “Paas Infrastructure Zones” in the top left under General Information. To create a zone, click the tab “Create”. Figure 12. first page of wizard to create a PaaS Infrastructure Zone, give a meaningful name and description of the zone and define maximum CPU utilizaiton and memory allocation. 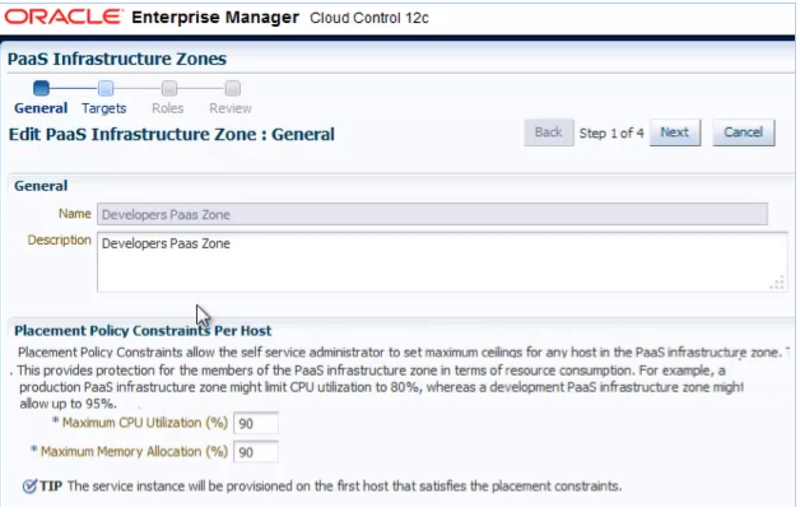 In the first page of the “PaaS Infrastructure Zone”, give zones a meaningful name and description. Define constraints such as maximum host CPU and memory allocations. Figure 13. 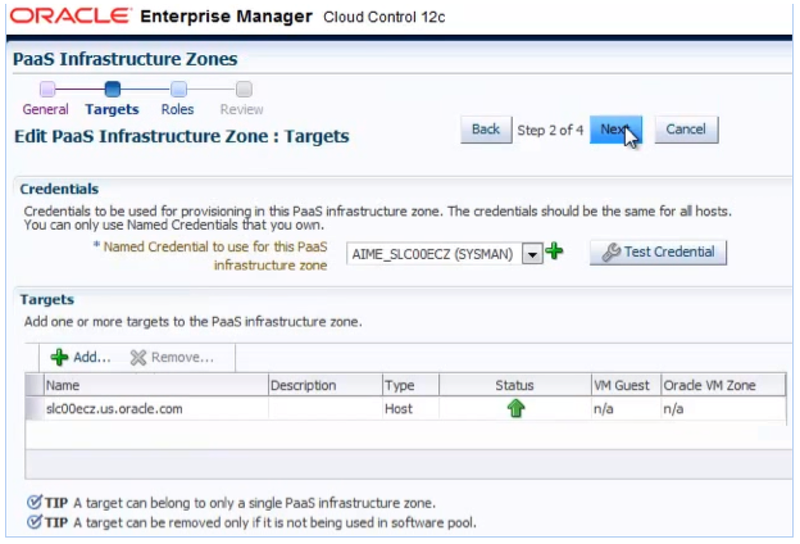 Second page of the “PaaS Infrastructure Zone” wizard, add hosts that are available to the zone. Figure 14. 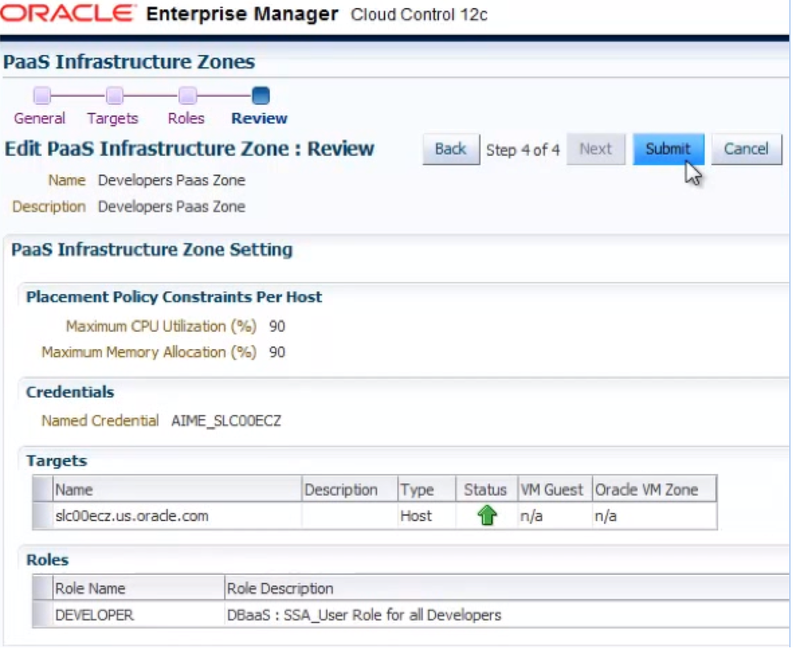 Third page of the “PaaS Infrastructure Zone” wizard, limit which roles can see the zone. Figure 16. 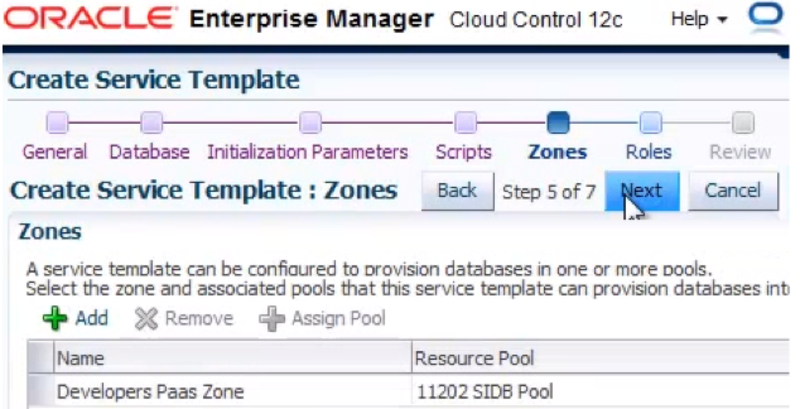 Showing the Confirmation that the PaaS Infranstructure Zone has been successfully created. The remaining steps required to enable snap clone is to create a database pools which is a collection of servers or nodes that have database software installed. 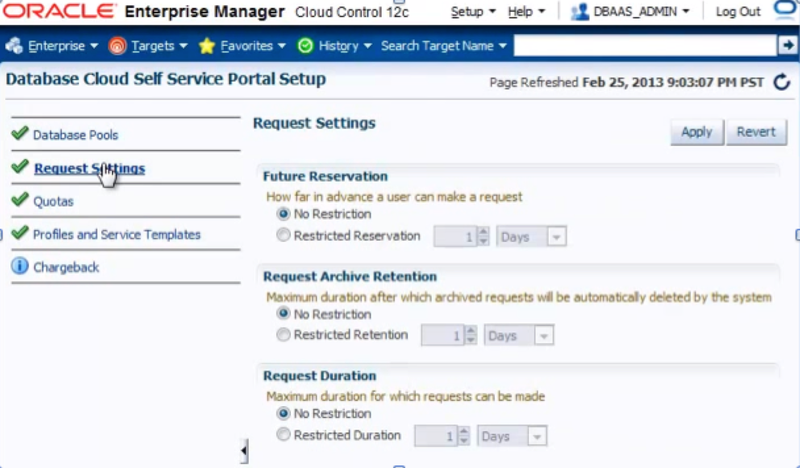 The remaining part of the setup is done by a differnet user who is the administrator for database as a service. 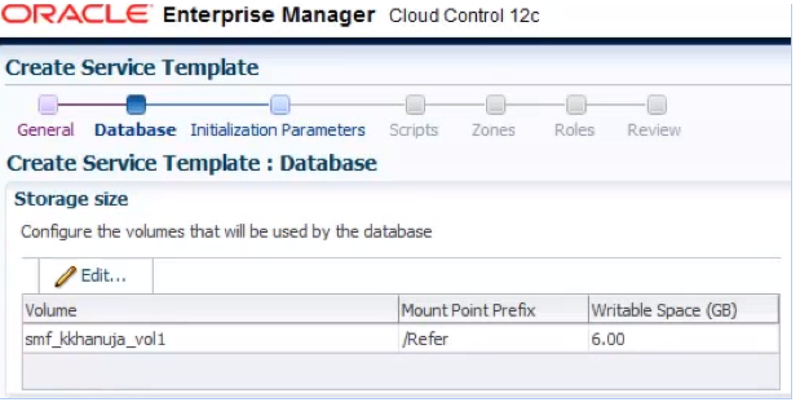 For the next part navigate to the menu “Setup -> Cloud -> Database”. Figure 18. 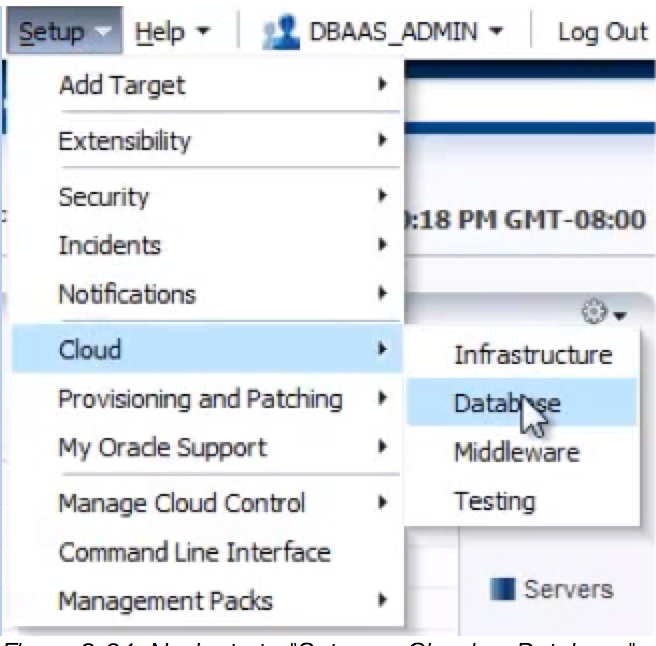 Navigate to “Setup -> Cloud -> Database”. Figure 19. 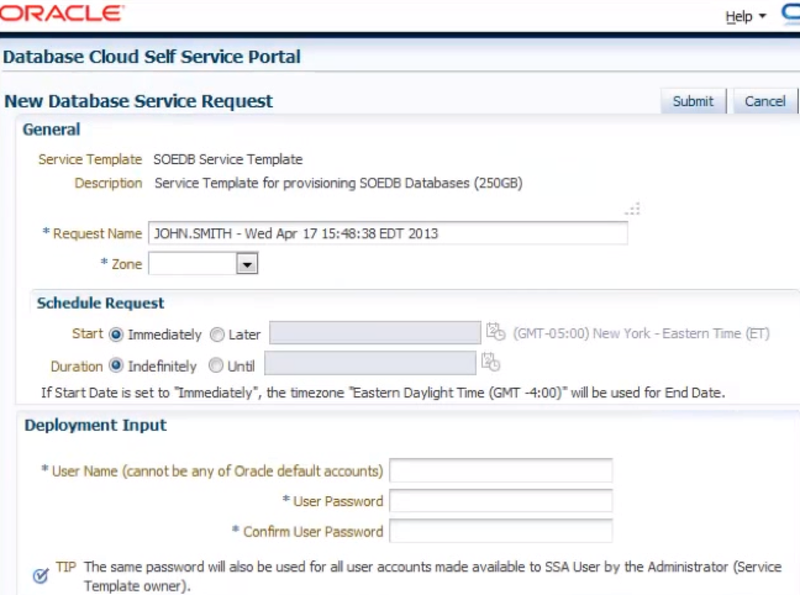 Database Cloud Self Service Portal Setup. To create a database pool choose the “Create” button in the center of the page and from the pull down, choose “For Database”. 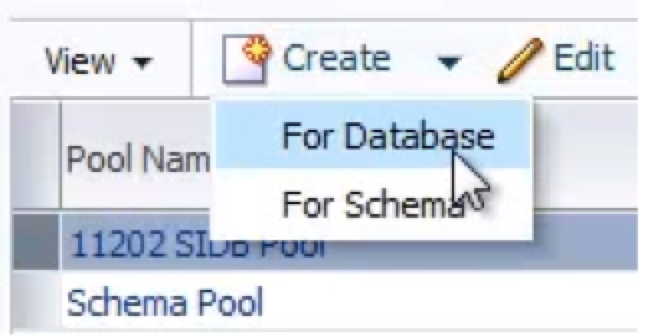 To create a new pool click on the “Create” button in the center of the page, and chose “For Database” from the pull down menu that appears. Figure 21. Edit pool page. Provide a meaningful name a descrpition of the pool. 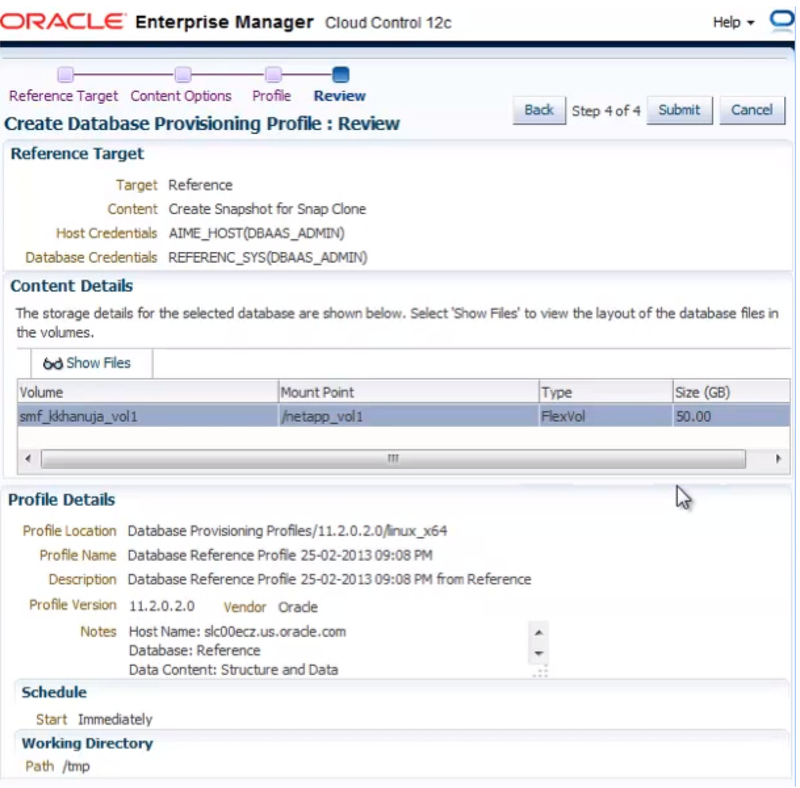 Add Oracle home directories in the bottom of the page. At the very bottom of the page set a constraint on the number of databases instances that can be created in the pool. On the top right, set the host credentials. In the “Edit Pool” page, at the top left of the screen, provide a meaningful name and description for the pool. 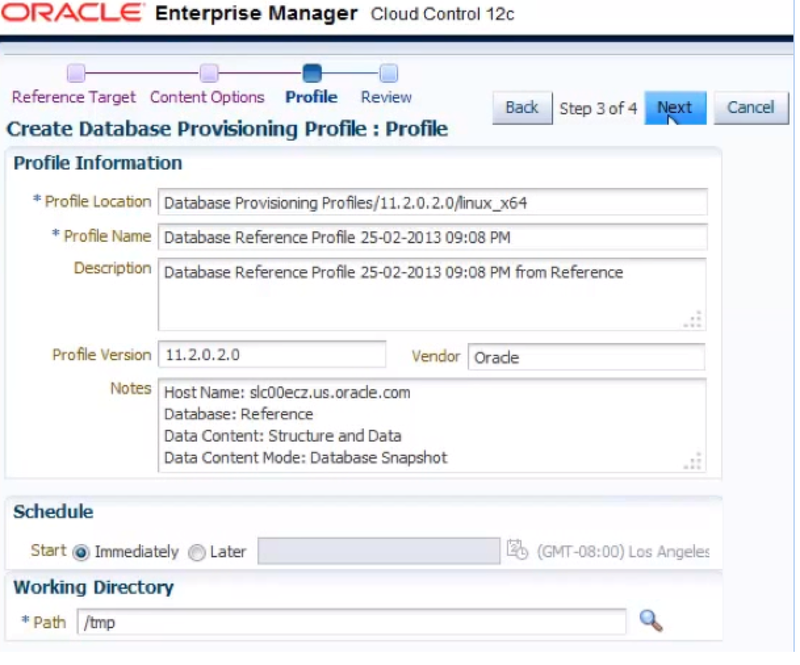 In the middle of the screen add Oracle homes that will be used for databse provisioning. Every member of a database pool is required to be homogeneous. Homogenous requires that the platform and Oracle version is the same across all the hosts and Oracle homes in the pool. 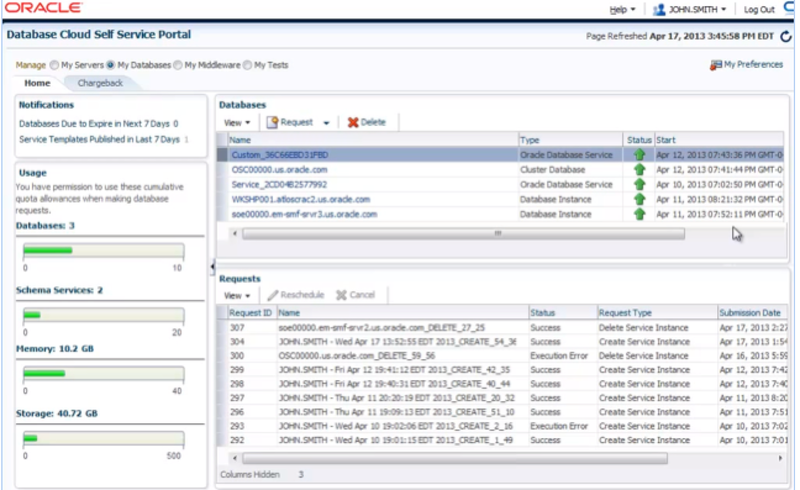 All the Oracle installations also have to be of the same type either single instance or RAC. In the top right add the Oracle home provide oracle credentials and root credentials. Finally at the bottom of the page a constraint can be set on the number of database instances that can be started in this pool. The next page sets the request settings. The first restriction sets how far in advanced can requrest can be made. Second restricts how long a request can be kept which is the archive retension. After the archive retention time the requests will be deleted. Finally is the request duration which is the maximum duration for which the request can be made. Figure 23. Set memory and storage quotas per role for the pool. The quotas cover memory, storage, database requests and schema requests. The above page configures quotas. Quota is allocated to each and every self service user. The quotas controls the amount fo resources users have access to. Quotas are assigned to a role and users inherit quota values from the role. Click “Create” in the middle of the screen. Figure 24. Editing the quotas on a pool for a role. .A profile is use to capture information about the source database which can then be used for provisioning. A service template is a standardized service definition for a database configuration that is offered to the self service users. A collection of service templates forms the service catalogue. A service template will provision databsae with or without seed data. To capture an ideal configuration, the easist thing to do is to point at an existing database and fetch information of interest from that database. The information from the database can be captured using a profile. Figure 26. Specify a reference target for a profile. Click the magnifying glass to search for a source database. Pick a refrence target by clicking on it, the click the “Select” button in bottom right. To pick a database for use in thin cloning, choose the check box “Data Content” with suboption selected fro “Structured Data” with sub-option selected for “Create” with sub-option selected for “Storage Snapshot”. 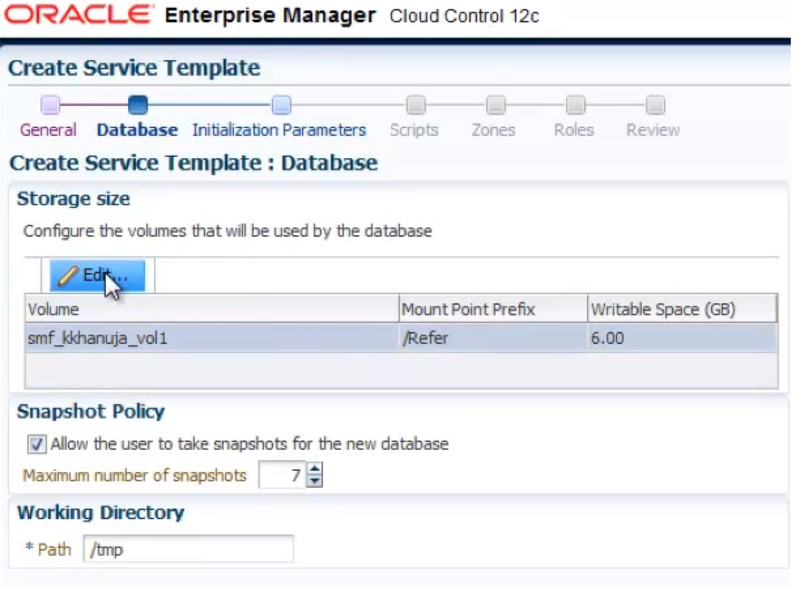 This option is only enabled only when the “enable snapshot” option is enabled on the storage registration page. Disable option capture oracle home. 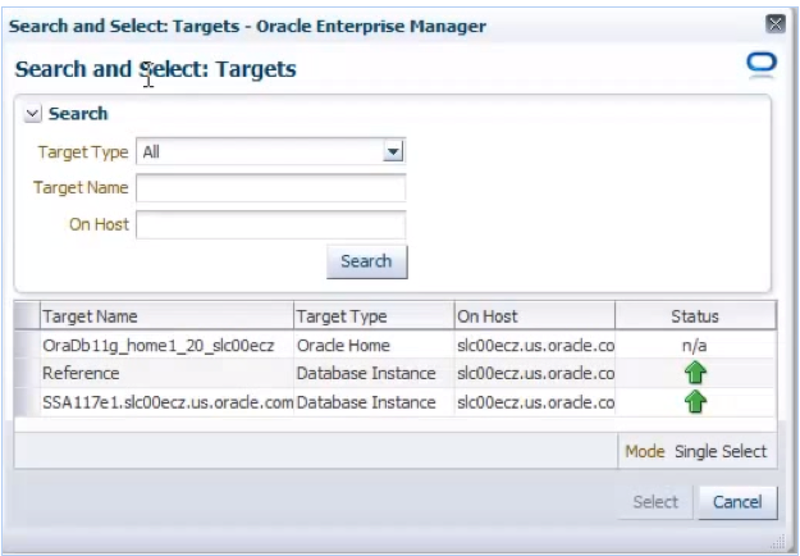 Provide credentials for the host machines Oracle account and for the database login. The “Content Option” step is not needed for the above selections. 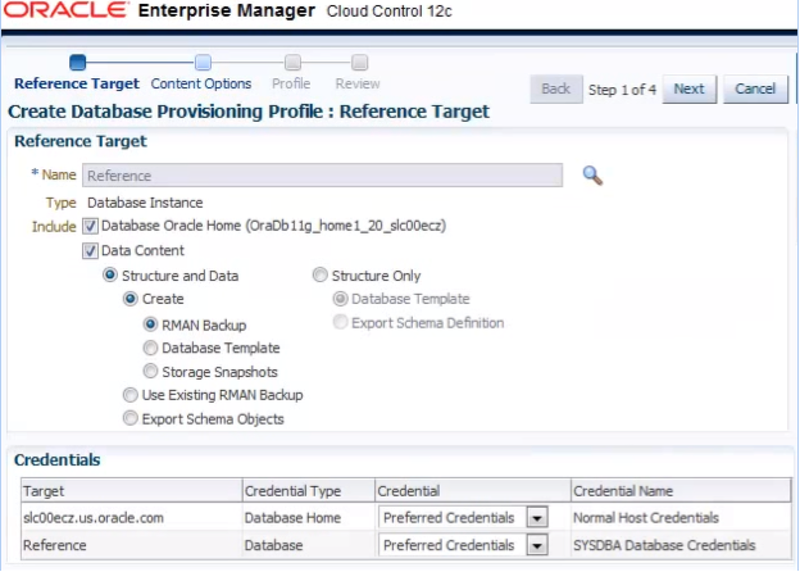 Next provide credentials for Oracle home and Oracle databse, then provide a meaningful name for the profile as well as a location. The profile will be userful when creating a service template. Figure 30. Review of create profile options. To create a new service template choose a profile and in this case use “thin provisioning for reference DB” profile. 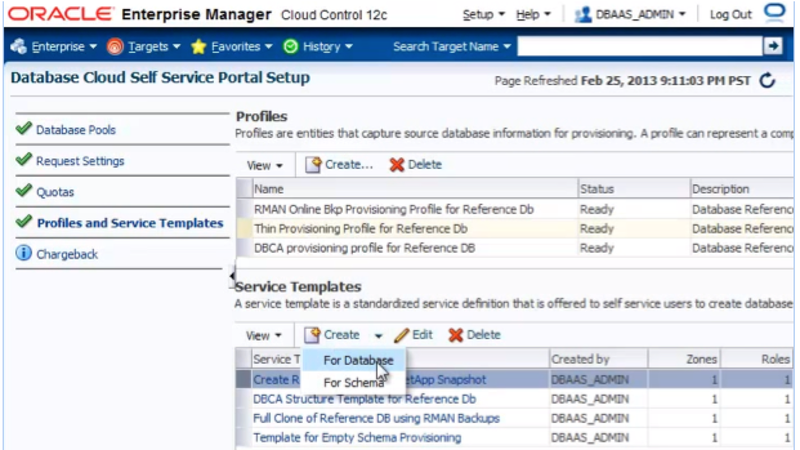 Now to create a new service template click “create” and choose “for database”. Service templates are part of the service catalogue and exposed to the self service users. Figure 32. 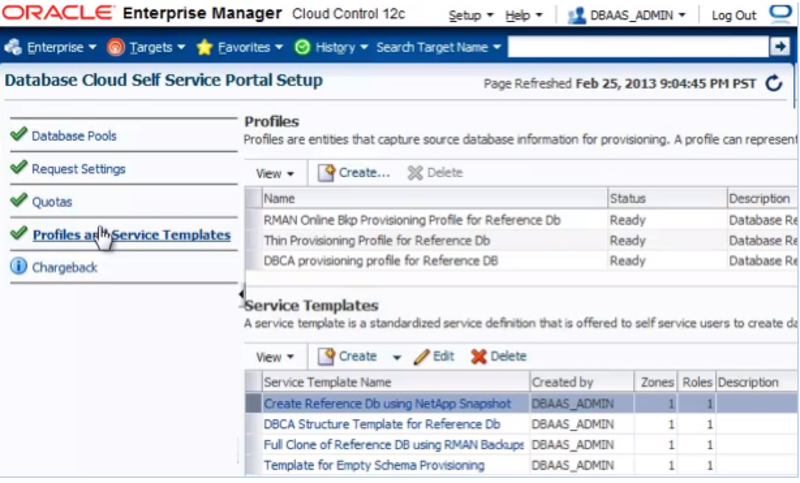 Provide a meaningful name and description for the service template. Provide a meaningful name and description. For the rest of service template provide information about the databses that will be created from the snapshots such as providing database type, rac or single instance, for rac provide number of nodes. Provide the SID prefix to appended to the SIDs generated for the clones, provide the Domain Name and the port. Figure 33. Provide a storage area for writes to use. The cloning operation only creates a read only copy thus it is required to provide write space elsewhere in order to allow writing to the thin clone. 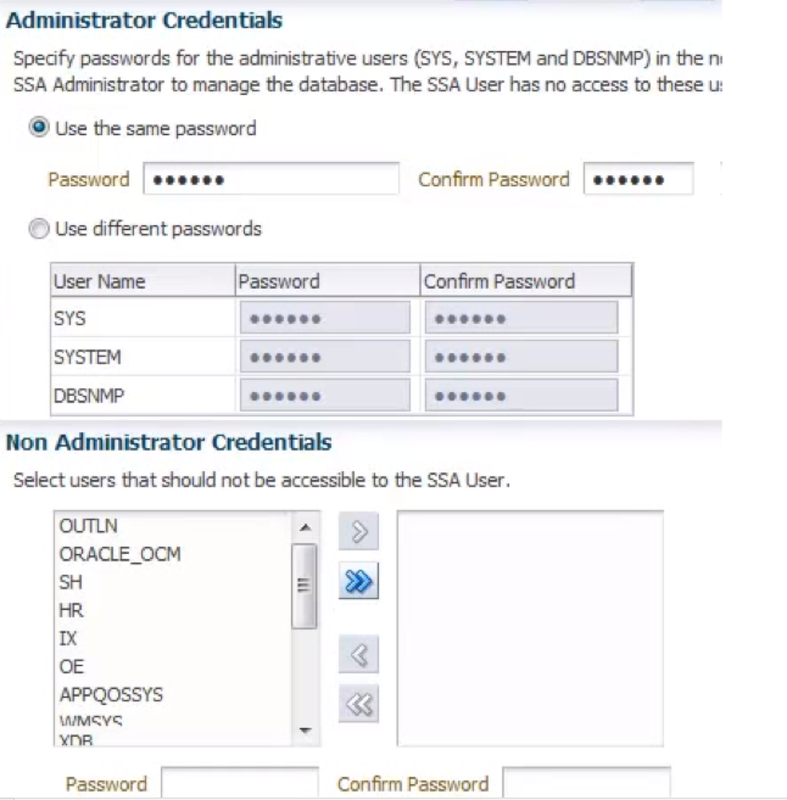 Figure 36. set the initial passwords for database accounts on the thin clone. Figure 38. 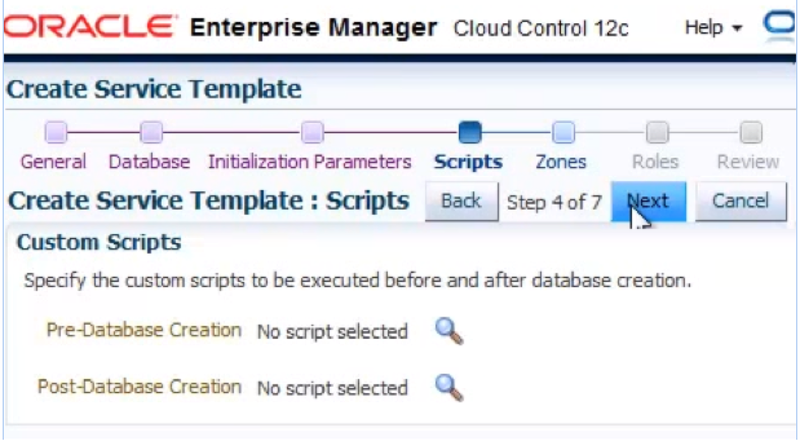 Set any pre and post provision scripts to be run at the creation of a thin clone. 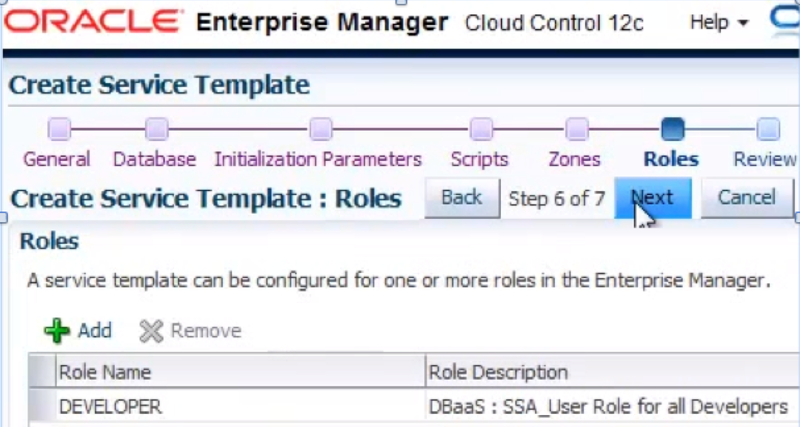 Figure 40. set the roles that can use the service template. Figure 44. To clone a database, choose the “Request” then “Database” menu. Very informative Kyle! Thanks for sharing. I assume your company has a ZFS Appliance in house and have setup (obviously) a PaaS offering. The need arises if we have to patch thin cloned provisioned environment at the db level because Oracle Support suggests to do for some particular bug being faced in some dev environment.